Being into the business of supplying, trading and distributing, we have been able to serve our clients with a comprehensive range of Acid Proof Tiles. 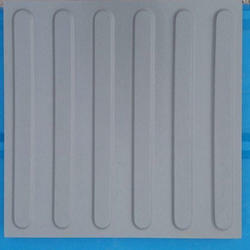 To enhance strength of these tiles the manufacturers process them using quality raw materials at high temperature. Being one of the most reliable materials in the range of anti-corrosive products, these products can stand against the harsh chemicals and stains caused by them. 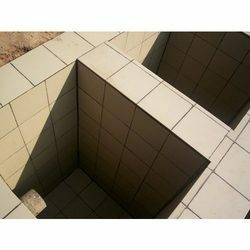 We also offer an extensive range of Alkali Resistant Tiles that is manufactured to meet the flooring requirements of tanks and other equipment. Our range is widely used in different industries like petrochemical, copper plants & thermal power plants, integrated steel plants, chemical, fertilizers, pharmaceutical and more. These tiles are available in different grades and dimensions suiting best with the demands of our valued clients. Our range is tested on different parameters before supplying to the clients to make sure they efficiently resist alkalis. 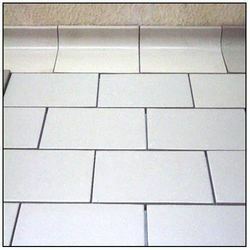 Our offered Alkali Proof Tiles are hugely ordered for tanks and other industrial areas as they have zero effect of chemicals and do not lose their shine. These procured tiles are specifically processed at our trustworthy vendors’ end with making use of ultramodern technology and quality raw materials. Variety of sizes, impeccable designs and eye soothing colors are offered which gradually gained attention from a large number of customers towards them. We are betrothed in offering an optimum quality range of Vitrified Tiles that are made available in remarkable colors, sizes and designs for our precious clients. 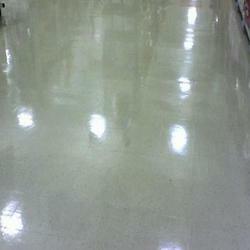 These sourced tiles are suitable for the hotels, restaurants and galleries due to their excellent shine and finish. Not only this, manufactured using latest techniques and top quality raw material according to the set industry norms, these tiles can be availed from us at very affordable prices. With the assistance of our procuring agents, we are offering our clients approved quality assortment of Silicon Carbide Crucibles which have special features so that they can be used for electrical furnaces which need a special treatment on various industry processes. 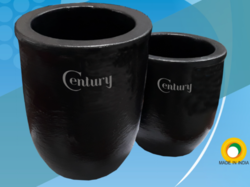 These sourced crucibles are manufactured utilizing best quality raw material at our vendors’ manufacturing unit. 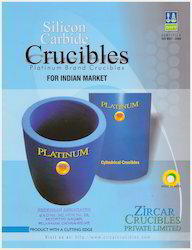 Besides this, we deliver these sturdy design crucibles are offered at very affordable prices with no time constraints. We have become known as the leading trader, distributor and supplier of a wide range of Cladding Tiles that are procured from certified vendors of this market. In sync with quality standards, these tiles are manufactured by making use of finest quality raw material that ensures their sturdy nature. We are delighted to present these tiles in a wide range of colors and designs to get complete satisfaction from clients. Since the inception of our company, we have been backed and supported by a team of efficient and hard working professionals. They hold expertise in its area of operation and are trained at regular intervals of time, to enhance and polish their skills. By working in close coordination with each other, our employees ensure a trouble-free workplace.